Just in case your forgot, there are two separate Ruby's fund raisers going on this week. 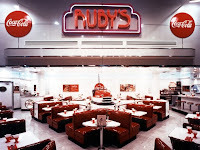 Tomorrow, Monday, May 18th, at the Ruby's diner at South Coast Plaza (Bear Street side), between 4 and 9 p.m. 20% of the sales of food items will be contributed toward funding the trips of 8 Estancia High School students who will be Youth Ambassadors to Australia in July of this year. A flier is required to be presented at the time of purchase of the meals. You can follow THIS LINK to a pdf file, which will give you a printable flier. 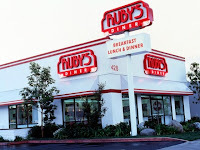 And, all next week from 4-9 p.m. at the Ruby's Diner on East 17th Street a fund raiser continues for the Costa Mesa Library Foundation. Again, a flier will be required for 20% of food purchases to be donated to the foundation's efforts to built a new, first class library in Costa Mesa. THIS LINK will take you to the Library Foundation's web site, where you will find a link to a printable Word file for the flier for this event. I encourage you to support both these worthy causes and, once again, try my favorite dessert - a yummy slice of hot apple pie with a slab of cheddar cheese melted on top - yum! In-N-Out - In Or Out? Holy Guacamole, It's Cinco De Mayo! 2009 OC Marathon This Weekend!